If there are no major issues, we hope to include the 64-bit for 2.0 on Stack Builder. We greatly thank those who funded our campaign to do this. What does the 64-bit come with. The same stuff as the 32-bit but all compiled under Mingw64-bit tool chain. 2-in-1 GUI Loader/dumper for ESRI shape files. Note this version is greatly improved over the 1.5 version. key areas were: stability enhancements, ability to import multiple files at once, and ability to export files to ESRI shapefile. Enhanced 3D support. 3D will get a bit more loving in 2.1 series. This is packaged as a stand-alone ready to be copied into your PgAdmin III install (or run stand-alone) latest from PostGIS 2.0.0 trunk as of March 8th, 2012 (r9428). This version includes ability to import multiple shapefiles at once as well as ability to export to shape file. It will appear as a plugin under PgAdminIII and will automatically fill in the credentials of the database you have selected in PgAdmin III. It has support for both importing into geometry and geography tables. 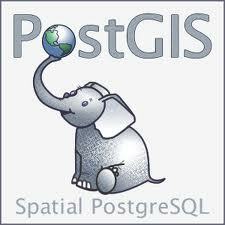 Note: The geography import feature works only against a PostGIS 1.5 or higher databases. Though I do not run Win, I am glad that PostGIS develops.